Photo special to the Journal. Vestavia Hills City Schools Superintendent Dr. Sheila Phillips will be retiring from her position effective Sept. 1. 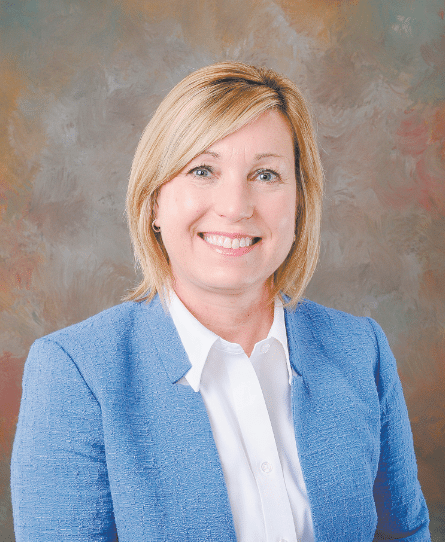 Phillips announced her plans to retire during a Vestavia Board of Education meeting July 31. She informed the board of her plans to leave the posi- tion she has held since 2014 in a letter submitted July 20. “Thank you for the opportunity given to me to serve this school system and community for the past six years and most notably as superintendent. It has been a privilege that I have not taken for granted for one minute,” Phillips wrote. Board President Nancy Corona said that, though the board tried to change Phillip’s mind, the members are supportive and respectful of her decision. Under Phillip’s leadership as superintendent, the school system created a new strategic plan and implemented many initiatives. She was the recipient of the Superintendents to Watch award from the National School Public Relations Association in 2016. Along with expanded learning opportunities for students, the district developed new evaluation and hiring processes. A hallmark of Phillips’ tenure was the launch of a facilities plan that included the purchase of the former W.A. Berry High School campus, planned to be the new location for Pizitz Middle School by the fall of 2019. Phillips said she has been proud of the work that has gone on in the district and in the community, and she quoted board past President Nathaniel Robin. Phillips conceded that there has been controversy over decisions made while she was superintendent, and she said she plans to discuss the effect of those controversies on her decision to retire at a later date. “I know that as a team, we made things better for the students of this community and have cherished the privilege of serving alongside one another,” Phillips said.